← What Did You do This Weekend?? 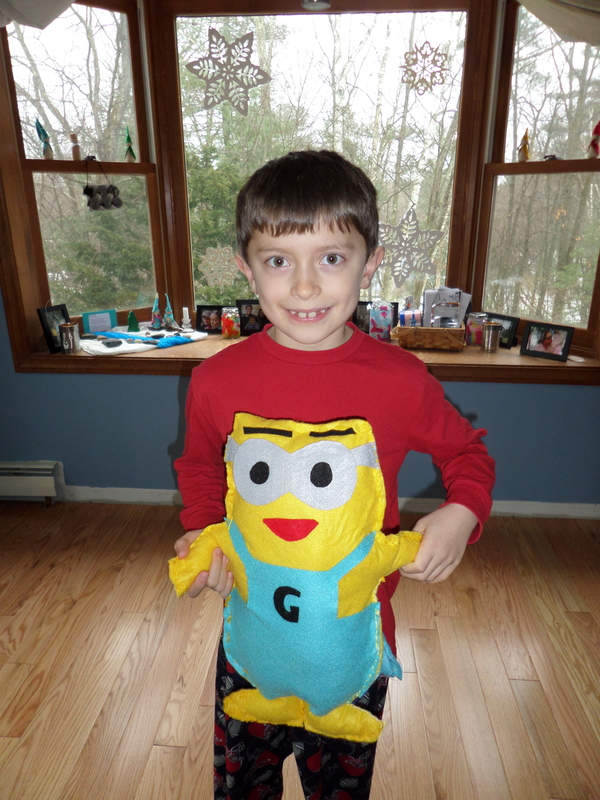 Since Christmas, my kids have been all about Minions. 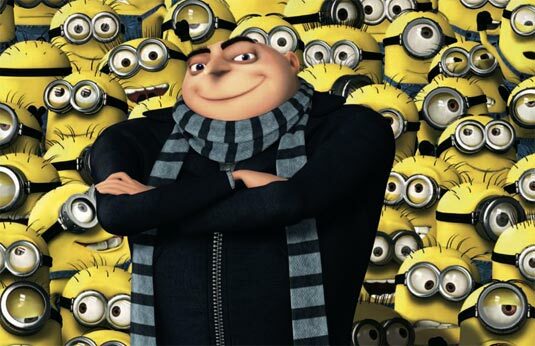 For those of you not familiar with the Despicable Me movies, Minions are these cute little yellow mutants that help the evil “Gru” in his despicable tasks. They have their own “language” and my kids love to sing, speak and act like Minions ALL. DAY. LONG. I have taken this love of Minions and tried to harness it and make the best of it. 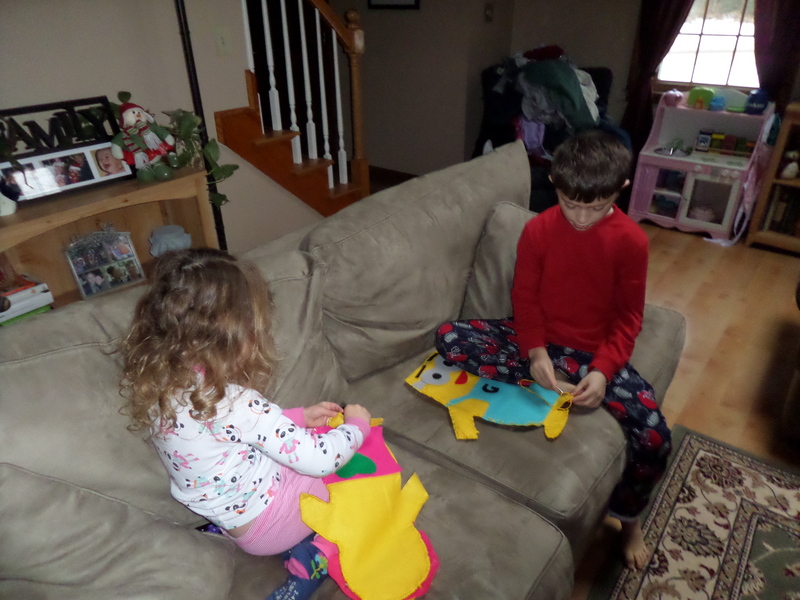 I have used the topic for writing purposes, for math, for science and our latest task was this cute little sewing project. I had finger knitting on the agenda for January but Z was showing very little enthusiasm. So we switched gears and he was over the moon excited. They had so much fun making these! 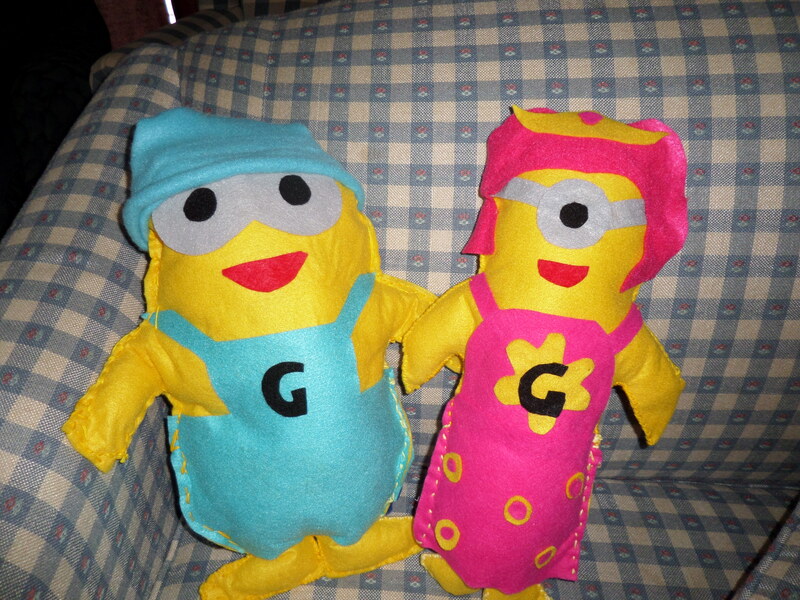 They were both so engaged and though they needed a lot of mama help they designed them, stuffed them and did a lot of the sewing. Now that they are finished they are designing accessories for their new Minion Friends. Our next handwork projects will be decorations and gifts for Valentine’s Day. We then hope to make some dolls in March, I love all these creative projects. 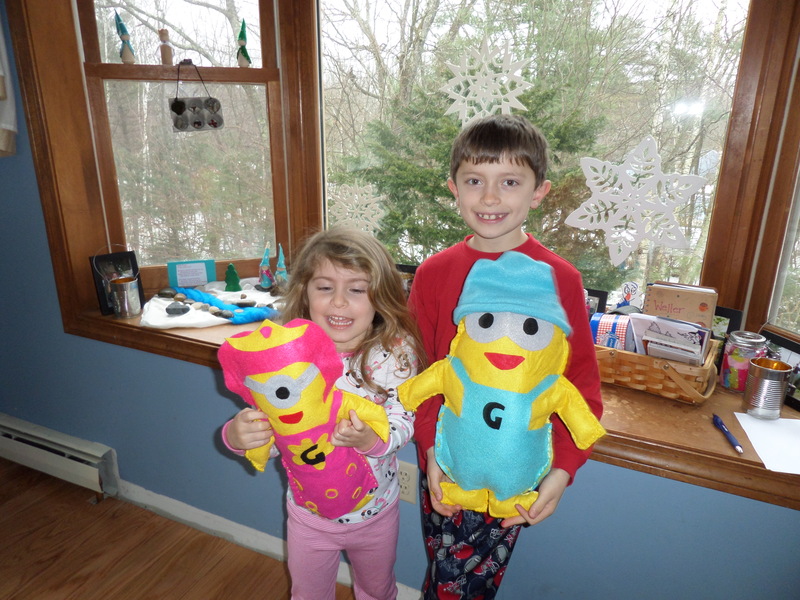 Z & C… Mimi LOVES the wonderful minion figures you made! They and YOU make me smile. I hope to watch the movie some day … maybe with the 2 of you! Those are so darn cute!!! You really should sell the pattern on Etsy!